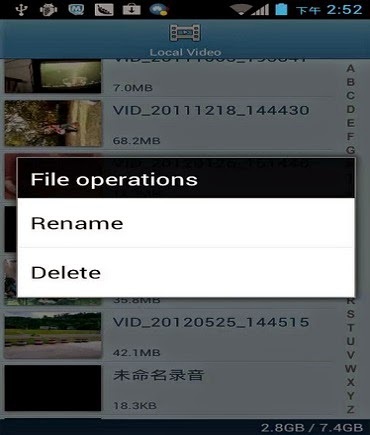 HD video player is the easiest android phone player, has a powerful video decoding capabilities to easily support you play a video camera, TV shows, movies, music videos, MTV and other mobile phone stored video files on your phone. 2. HD playback your video files. 4. Delete files, rename, play pause operation. 5. Smooth playback of FLV files do not need to install the Flash Player plug-in.